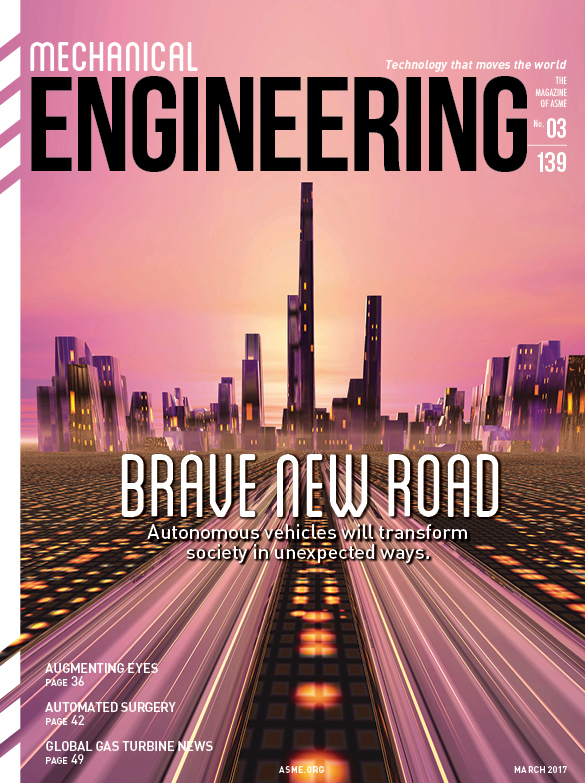 It’s an exciting time of change for the auto industry, for car buffs, and for many engineers who’ve had a lifelong love affair with their vehicles—both behind the wheel and under the hood. New technologies are bringing the utopian vision of self-driving cars cruising through smart cities into sharper focus. As work on that front continues, technology integrators are making today’s vehicles more efficient and safer. Drivers are already benefitting from advances in entertainment systems and safety and breakdown-rescue equipment. Some new cars sport automatic maintenance reminders; navigation systems that display real-time maps, weather, and road alerts; and security systems that include theft-alert and automobile-tracking mechanisms. There have also been significant breakthroughs in vehicle efficiency, with features such as fuel-management instruments and tachographs. Just as we relate differently to our smartphones than we did to the rotary telephones of decades past, we relate differently to today’s computerized and connected cars. For one, the ability for home mechanics to tinker with their cars is severely limited. But automakers and consumers have shown excitement over the new bells and whistles, and the market for services, devices, and connectivity in vehicles could exceed $39 billion by next year. As makers of autonomous vehicles enter the market, however, they threaten to further redefine the relationship between car and driver. Big-name players in this burgeoning space, such as Google, aren’t the only ones getting into the act. Startups such as nuTonomy are advancing the self-driving vehicle landscape in quiet but exponential ways. The MIT spin-off partnered with Uber’s competitor Grab and began publicly testing self-driving cars last August on a 2.5 km square business district in Singapore. NuTonomy’s cofounder and CEO Karl Iagnemma, who also directs MIT’s Robotic Mobility Group, said the new technology behind self-driving cars is not automotive but robotics-based, as it uses formal mathematical logic to design and verify its software. From an engineering perspective, he said, what matters are the interfaces that make a passenger interact with the car. “How I tell the car to nudge forward a couple of feet because there’s a puddle there and I don’t want to get my feet wet is important,” Iagnemma said. That’s part of the robotics-like artificial intelligence process that his company is focusing on. We can only speculate what the world will look like and how society will change if—or dare I say when—autonomous vehicles proliferate. So we decided to commission Brian David Johnson, a former Intel futurist and now futurist and fellow at the consulting firm Frost & Sullivan, to write our cover story this month and provide some learned context. His article, “Brave New Road,” begins on page 30.